What kinds of stains are there? There are two types of stains that occur on teeth. There are intrinsic stains, which are stains on the inside of the teeth, and extrinsic stains, which occur outside of the teeth. Intrinsic staining can be caused by a number of factors. Silver filling material can leach out into the tooth, causing a gray staining of the tooth. Another factor can be an illness while the tooth is developing. 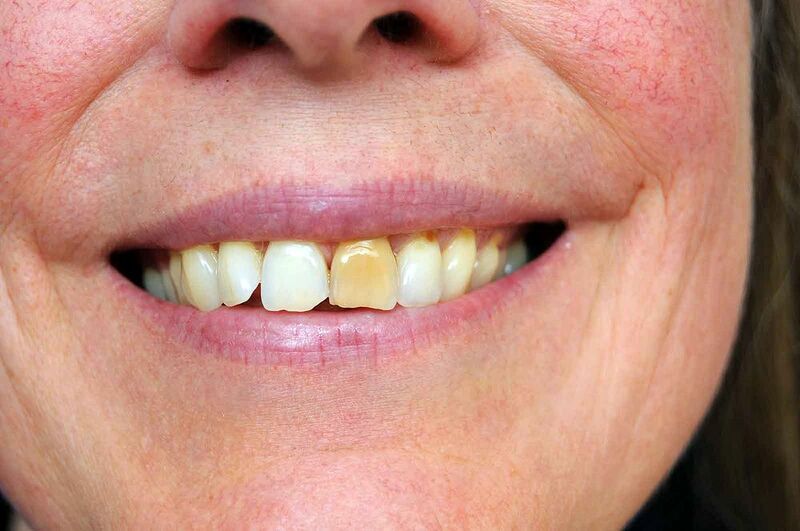 This will leave a band of discoloration in the tooth corresponding to when the illness occurred.